In the northeastern corner of California along the California-Nevada border, between Mt. Shasta in the west and the Warner Mountains in the east, lies a massive volcanic plain known as the Modoc Plateau. Shaped by vast basalt flows, this landscape is covered by a sea of sagebrush and perennial grasses and is more typical of the Great Basin. Although this may be the most undeveloped region of the state, the ecosystems here are considered among the most threatened in North America. Threats include invasive species, over-grazing, woodland expansion, and altered fire regimes, amongst others. Until recently, we have had very little vegetation data from this region. 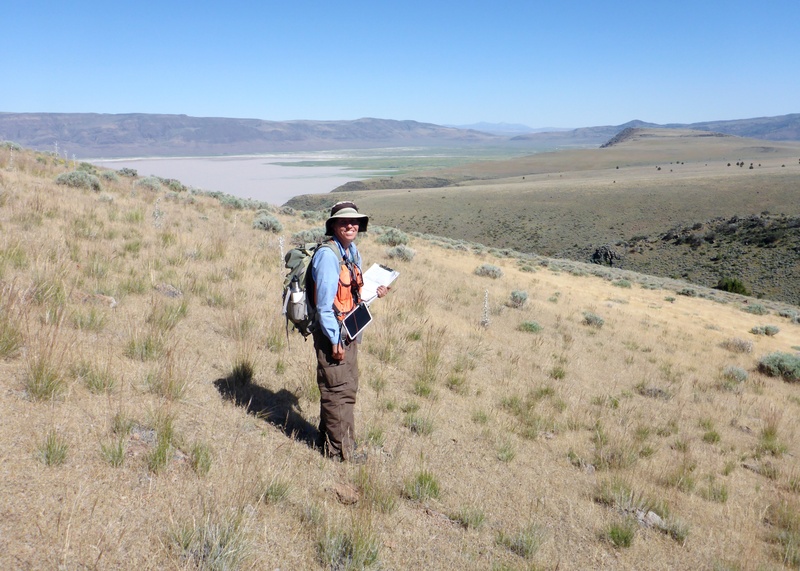 Now, partners at the Bureau of Land Management (BLM), California Department of Fish and Wildlife (CDFW), Natural Resources Conservation Service, and others are providing dedicated funding and support for resource-level assessment and mapping of vegetation. 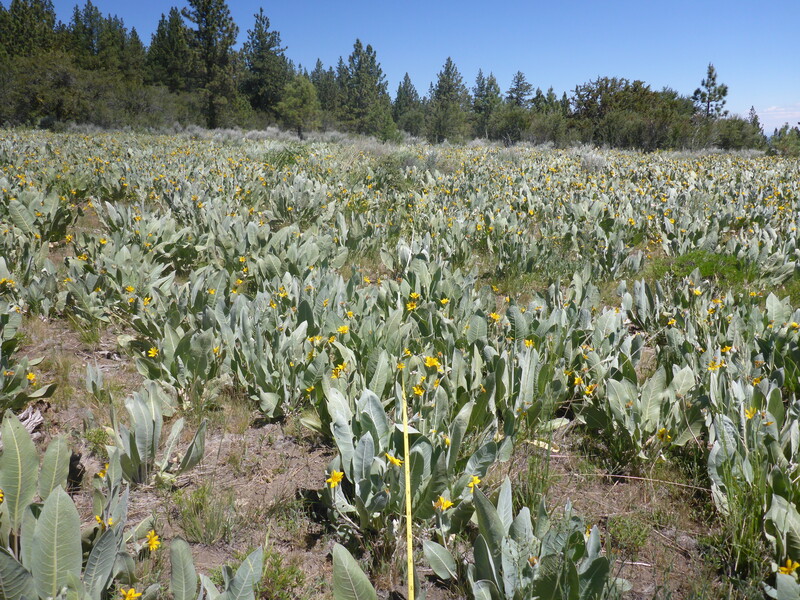 With support from the BLM, the CNPS Vegetation Program spent 12 days sampling vegetation in the Modoc Plateau. The BLM selected three areas managed by the Applegate Field Office to be surveyed and mapped. Although these three areas are separated only by approximately 20 miles, and have dominant vegetation types typical for the Modoc Plateau, each one also has unique qualities. Jeffrey pine (Pinus jeffreyi) stands are common in the southwestern-most unit, with impressive displays of mule ears (Wyethia mollis) in the understory, and sometimes producing stands of its own in areas of recent burns. The centrally located site, near the Likely Tablelands, is strongly influenced by shallow soils on basalt flows with vast areas of low sagebrush (Artemisia arbuscula ssp. arbuscula) and various phases of western juniper (Juniperus occidentalis) including old growth stands along the basalt rims. At the eastern-most site, along the east side of the south Warner Mountains is white fir (Abies concolor) and curl-leaf mountain mahogany (Cercocarpus ledifolius) at the higher elevations, and low sagebrush and perennial grasslands dominated by Thurber’s needlegrass (Stipa thurberiana) at lower elevations. 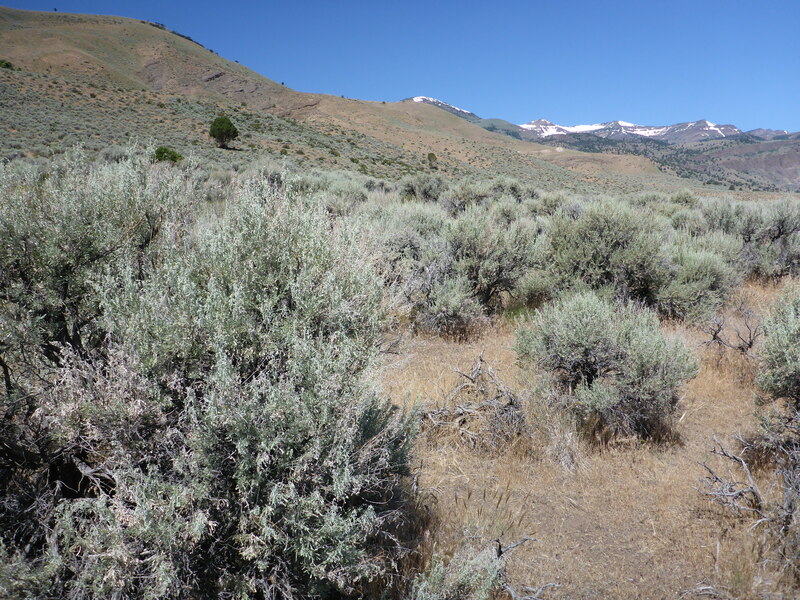 Basin big sagebrush (Artemisia tridentata ssp. tridentata) is found at the lowest elevations near Lower Lake. This June we collected 64 vegetation surveys across the three sites. The data, along with hundreds more collected by CDFW and Chico State’s Geographic Information Center at nearby areas, will be analyzed to create a vegetation classification for the region and will aide in future vegetation maps of the region. The Modoc Plateau is a beautiful and unique part of California. Much of the vegetation here is at the edge of its range and more typical of our neighboring states to the north and east. The remoteness and lack of urban development give a sense that this may be a “forgotten” part of the state but also reminds us of the added diversity of California’s ecosystems and the importance of understanding and protecting these wildlands.